NaBloPoMo, just down the road from Kokomo. No, maybe not. 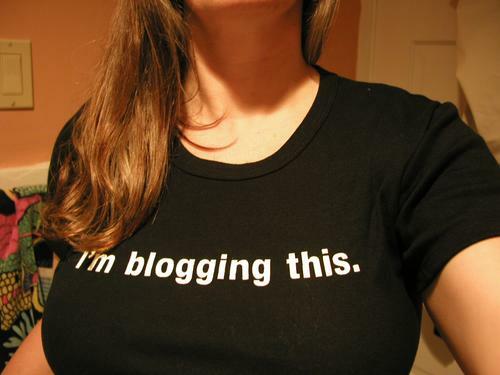 But it is National Blog Posting Month, and BlogHer has a huge project going to encourage us to blog daily. Right now there are almost 900 blogs listed as participating. There are daily prompts for those who need ideas, there is lots and lots of encouragement and inspiration, and I am going to DO IT. Write every day for one month. I seem to remember a few Novembers ago there was a similar challenge to write a novel in a month – not sure if this is an offshoot or not. I have been coming face to face with many of the excuses I use not to sit down and write. For some sad reason, the loudest one is the fear that I will become too engrossed in what I am doing and lose track of time and either be late or miss too much sleep. sigh. Maybe short but regular entries will be a good way for me to get off my non-writing horse and head to NaBloPoMo. So, for one month I am going to do everything in my power to post something every day. Even if it is just a look at another excuse. So… here we go… off to Nablopomo. Fifteen Minutes A Day – Easy Peasy It Is Not! This is why I don’t set goals – “Write Every Day” indeed. What initially sounds like a great idea and a life improvement becomes a failure and a disappointment faster than I can write this sentence. 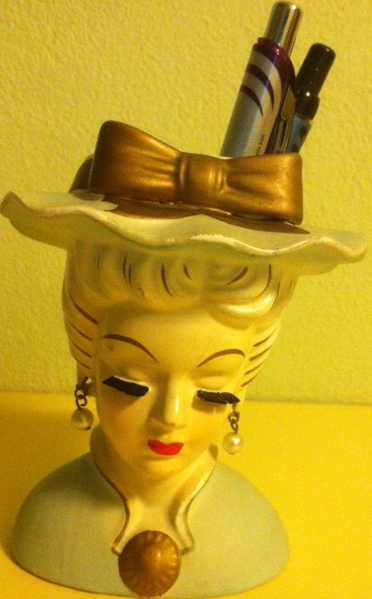 I have let at least ten days slip by, eying my laptop as I got dressed for work, as I drank my morning coffee, as I scoured eBay for the perfect vintage head vases to hold my pens, as I unwound at night by reading the online New York Times. 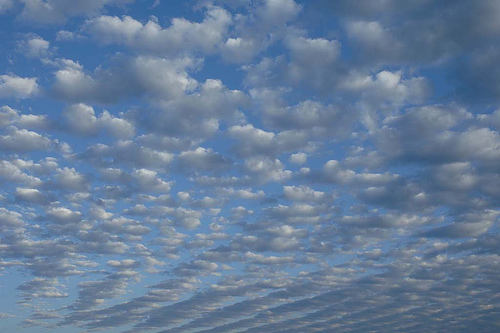 As I wrote in my previous post, fifteen minutes a day is realistic, minimal, and infinitely possible. I hereby promise to move forward, forgive my slacker self and re-commit. Time to channel the Greek god of victory and just do it. I am determined to keep this blog going once school starts again in a few weeks, but I am worried that the challenges of the upcoming semester will pull me away from writing. To counteract the fall semester brain-spirit-energy drain, I have decided to commit to writing for fifteen minutes every day, starting … now. This idea of fifteen minutes of work reminds me of advice from one of my favorite creativity coaches – the artist SARK. She advocates taking teeny tiny steps (“micro-movements“) to accomplish our creative goals – steps that take maybe five minutes but that move us closer to our dreams. Make that call, write down that idea, make a list, ask a question. Do it now. Inspired by Richard Byrne’s “Best Tip for Beginning Bloggers” – write every day. This connection between silence and safety and learning got me thinking about teaching (as does almost everything!) Most of us are afraid of silence, and move to fill the fearsome void with speech as quickly as possible. In social situations this can soften an awkward moment, but in teaching more often than not it short-circuits students’ responses. Processing a question and formulating an articulate response takes time – thirty seconds or more for most of us. For students, who are trying to please us and are often afraid to take the risk of sounding stupid or being wrong, it takes longer. And yet, how often do we wait for students to think about the question, figure out what it is we are asking, then think about what they have to say on the matter, then put those ideas into words they are willing to share with the entire class? One second? Five?? Try standing in front of a class and counting out thirty seconds in your head. It is a lifetime! Yet we must find ways to give our students the time and space they need to formulate their ideas. One possibility is to give them time to write an initial response, then ask them to share with a partner before sharing with a larger group or the entire class. Giving students time to safely rehearse their ideas before asking them to take the risk of exposing their thoughts to the entire class will increase their willingness to try to struggle through to new ideas and new ways of expression. One of my favorite student comments at the end of the semester was “Don’t bother stalling when she asks you a question. She can wait longer for an answer than you can possibly stall.” Give them time. Be patient. 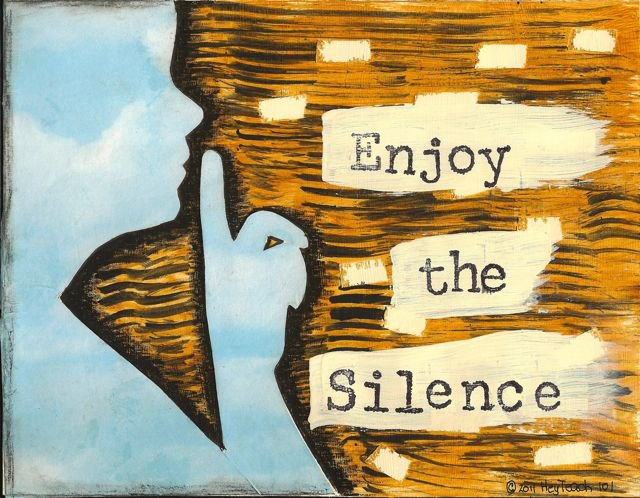 Enjoy the silence.